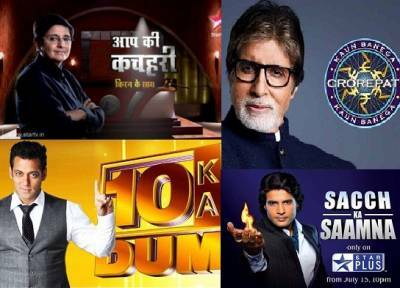 Reliance Big Synergy, the makers and producers of some of India’s biggest non-fiction TV shows like ‘Kaun Banega Crorepati’, ‘Aap Ki Kacheri’, and ‘Sach Ka Saamna’, among others, is now increasingly producing shows for all the digital platforms. The scope for entertainment is growing on the digital platforms at very fast pace, with the entry of global players like Amazon and Netflix, along with the aggressive strategies of home grown players like Hotstar, ALTBalaji, SonyLiv, Voot, etc. 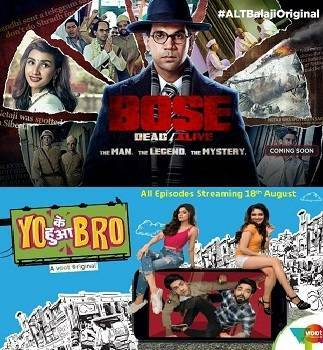 Reliance Big Synergy is busy building up an impressive list of content created exclusively for various OTT players – it has already produced its first web series ‘Yo Ke Hua Bro’ for Voot and is now all geared to launch its web series for ALTBalaji, titled ‘Bose - Dead/Alive’. The company is also producing ‘Sacred Games’ for Netflix, ‘Kaushiki’ for Vuclip, ‘Vishpuri’ for Amazon Prime Video and an untitled project for Applause Entertainment. Reliance Big Synergy was founded in 1989 by Siddhartha Basu and was the first production house to bring shows like ‘KBC’ to India. In 2007, 50 per cent stake of the company was acquired by Reliance. Two years back, Basu diluted the remaining 50 per cent stake, following which it is now completely a Reliance Entertainment Group company. Apart from Big Synergy, Reliance Group has joint ventures with Phantom, Rohit Shetty’s film company, Neeraj Pandey’s film company and several other businesses. Indranil Chakraborty, CEO, Reliance Big Synergy, has been at the helm of the company since 2010. 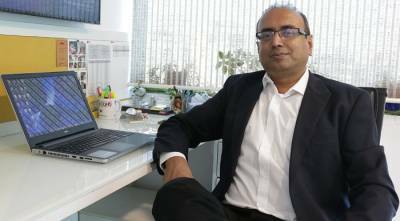 A well-known specialist in the media and entertainment industry, over the last 20 years, Chakraborty has functioned in various segments of the industry – music, film, television and new media. His key goal is to be an integral part of the media industry with specific focus on defining entertainment content for the future across genres, languages and devices. The focus is on corroboration between various stake holders for optimum monetisation of the content. What are your views on Reliance Big Synergy’s performance so far? How are you strategising to expand the business? When I joined the company in 2010, it was focusing on non-fiction shows. We were the first national production house to take content to every region with shows like ‘KBC’ and followed by some other popular shows. In 2010, we expanded our horizon with other genres in 8 languages, including Bengali, Bhojpuri, Marathi and four southern languages. For Reliance Big Synergy, our focus areas are Television and Digital. We don’t focus on feature films because in my view these two (Digital and Television) are far bigger than a movie. With Reliance and Phantom on our table, we had got a complete levy in the storytelling (fiction) business. Thus, in order to scale up the company you need far more creative directors and writers beyond Phantom and that’s why we have got 2-3 more associations apart from Siddhartha Basu, which helped us scale up. For instance, recently, we have done ‘Yo Ke Hua Bro’ (Voot) with Namit Sharma and now we have ‘Bose’ (ALTBalaji) with Hansal Mehta. We have now become an umbrella organisation, where various creative producers work with us to create shows, which have really helped us to increase the business scope. We are doing very well in our non-fiction category with ‘KBC’ and now going forward, we will come up with some old titles as well. Also, we will continue to grow our regional content, with shows in Malayalam, Kannada and Telugu. These are our core businesses and we will continue to focus on them. Do you think segmentation of content on different OTT platforms has started to happen? This will happen, but for now this segmentation has not taken place. It’s too early for us to create distinct content. Eventually, each OTT player will have their own set of audiences that they will cater to. The only distribution that is happening now is price segmentation. There are some people who are investing Rs 30-40 lakh and some who are even paying Rs 3-4 crore. We cannot compare digital with films and television. It’s altogether a different language. TV basically targets the group, but digital targets the individual. Around 3-4 decades back, we had something called ‘group escapism’, where people used to be together and watched shows, but with the developments in technology came in individual escapism. Sony Walkman was one of the first examples of individual escapism. Previously, what use to happen was that people would put on the radio and everybody had to listen to that, but with Walkman, you could be with yourself and from there on individual escapism started coming into our lives. Today, things have gone digital with mobile. Today, individual escapism is becoming far bigger than group escapism. If we look at today’s kids, they are constantly on their phones, either on social media or online watching something. It’s not relating them to the people around them. But, recently with ‘KBC’ we offered both the aspects to the masses. Families could sit together and watch the show, which focused more on group escapism. And on the other hand, we had Jio Play, where one could play individually. Mobile and OTT platforms will indicate individuality more and more in the coming days and dictate the kind of content that people will consume. Hence, one has to create a kind of storytelling that actually supports this individual escapism, which is way different from television. Thus, as an organisation we choose very creative directors and teams. What are your regional expansion plans? Entertainment follows money and that follows GDP. It does not create money, it follows the money. Regional foray has started only now, as you see with ALTBalaji, Vuclip, etc., and I believe this will expand in the future. For English language content, it is just 6-7 per cent and people are satisfied with that. We really want to create content in our language and then dub it or subtitle it in other languages. India is a digitally robust country and the market will expand. Tell us about your new web series, ‘Bose’, on ALTBalaji? It was a one-line brief that Ekta Kapoor and Sameer Nair shared with us – let today’s generation know who Subhash Chandra Bose was. Since, Bose was an enigmatic person and there were a lot of conspiracy theories around him, we went through nine months of development to come out with a unique storyline. It’s not a biopic, it’s just an exciting part of his life. Since we are fundamentally an entertainment platform, so for me, entertainment is an engaging factor which depends on one’s mood. We wanted to create something for the youth and keeping that in mind we have created our new show – ‘Bose’.